Sonny, a native of West Point, MS, has been a licensed real estate Sales Agent for Mossy Oak Land and Timber, Inc. since 2001. Sonny graduated from Mississippi State University in 1982 with a degree in Agricultural Economics. He has farmed for over three decades, growing soybeans, corn, and cattle. Sonny is the owner of Adventure ATV in West Point, which sells Polaris and CanAm off road vehicles. He has been active in the community in a wide range of areas including Church, school, bank and farm boards. 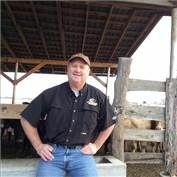 He is a avid hunter and farmer with life long connections within the community. This combined network helps Sonny find the land options his clients are searching for. Sonny and his wife, Janet, have been married for 32 years and have four children and two perfect grandchildren!